This week I got serious in Rabbits nursery. 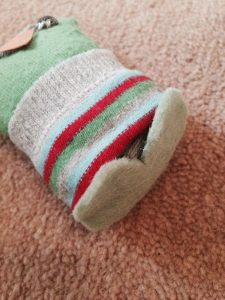 We already had the wardrobe and changing station from Kiddicare up and filled with tiny Rabbit treasures, but decoration wise it was all a lot of ideas in my head and not a lot of materialisation! My mum came round and we set aside a day to get shiz done! We worked on a few projects, some that aren’t quite finished yet and others that I’ll blog about soon; and still have a few things to craft and create! 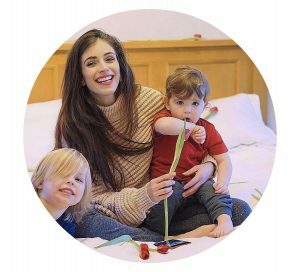 Here’s one of the cute little ideas that we saw at Winchester Christmas market and thought it would be lovely to DIY (or DIO as there were 2 of us). I think to buy it was about £15-20 but making it ourselves cost pennies and made it all the more unique! 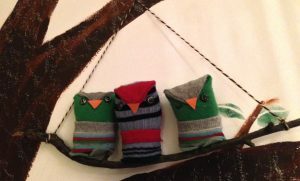 Mum thought it would be great/ easier to use socks to make the owls and as Rhys has just grown out of pretty much all of his, we had a few going spare! *2 buttons/beads- for the eyes. 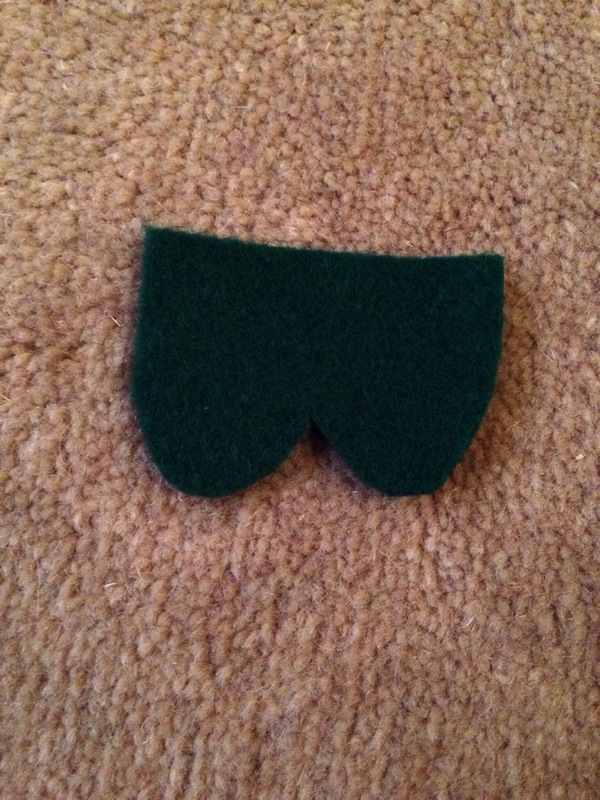 Alternatively you could stitch or draw them on, or cut out material eye shapes. 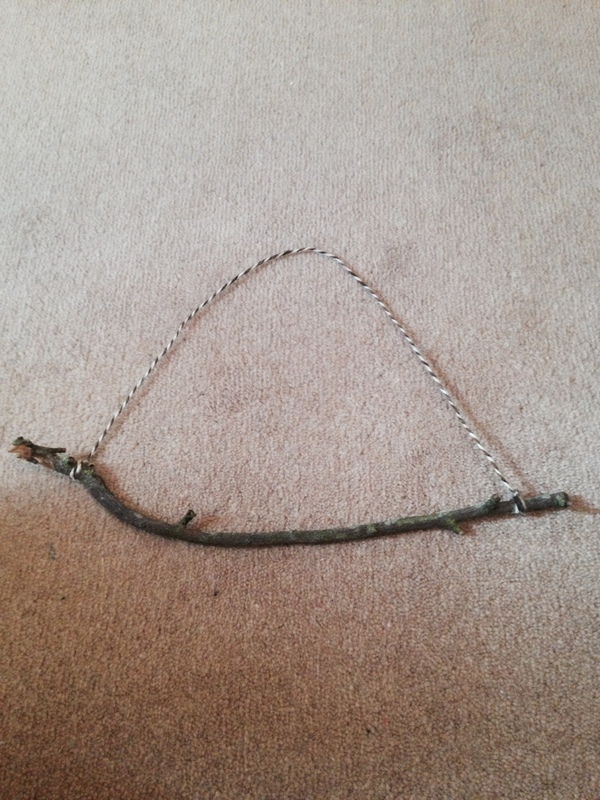 *1 cut out triangle for the beak – Can be made from paper, material or just about anything you like! 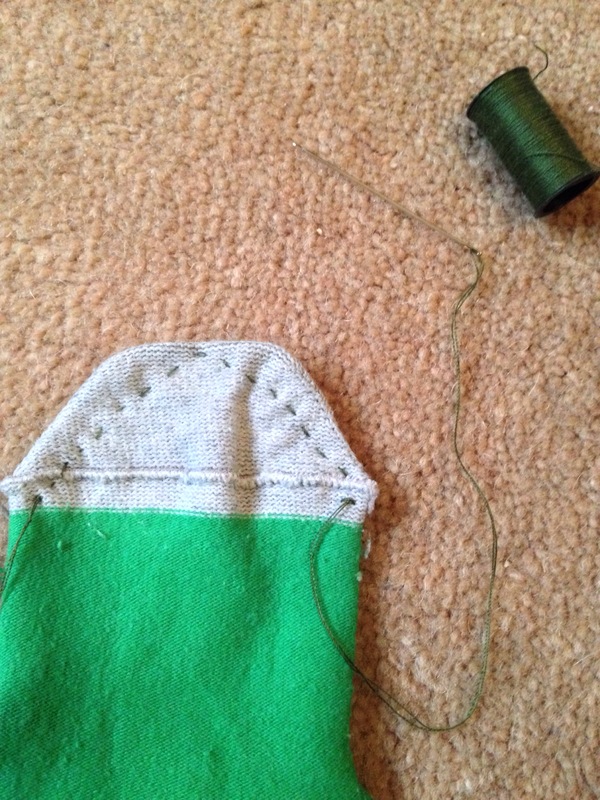 It depends if you want to stick or stitch it. 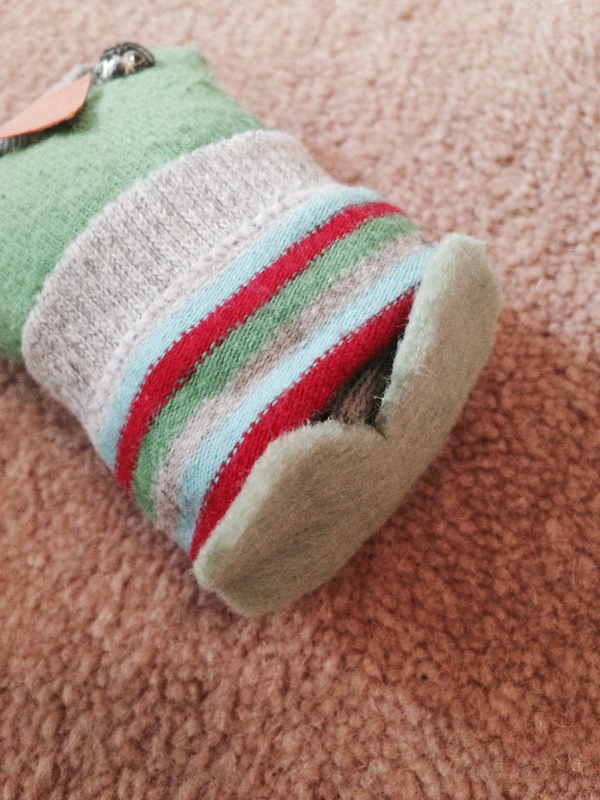 Turn the sock inside out and stitch an upside down V into the toe part of it. 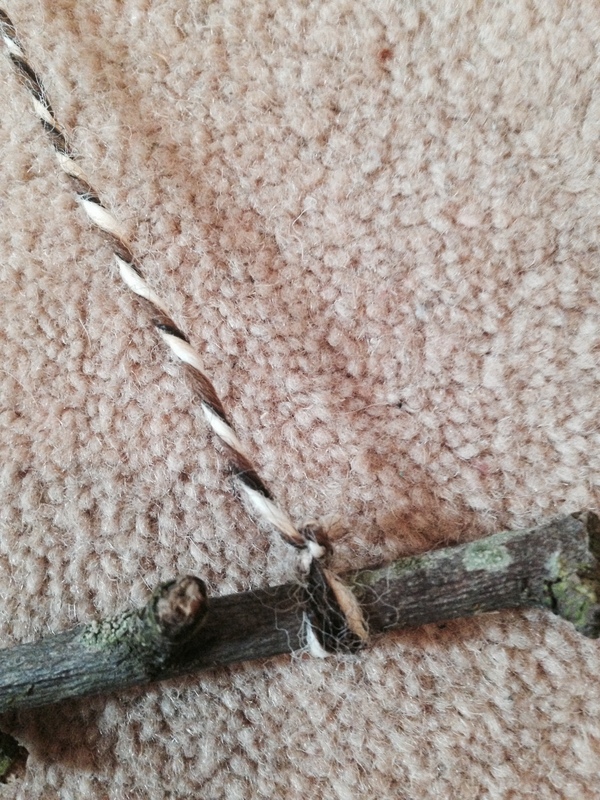 This will form the pointed beak. I just tacked it to be lazy as it’s only for decoration but of course machine sew if you’re feeling extra ambitious and want to make double sure it’s secure! 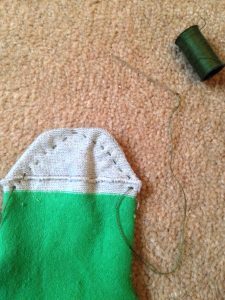 Next, turn the sock back the right way and put in enough wadding to fill from where your stitching started and to allow the sock end to fold back on itself. 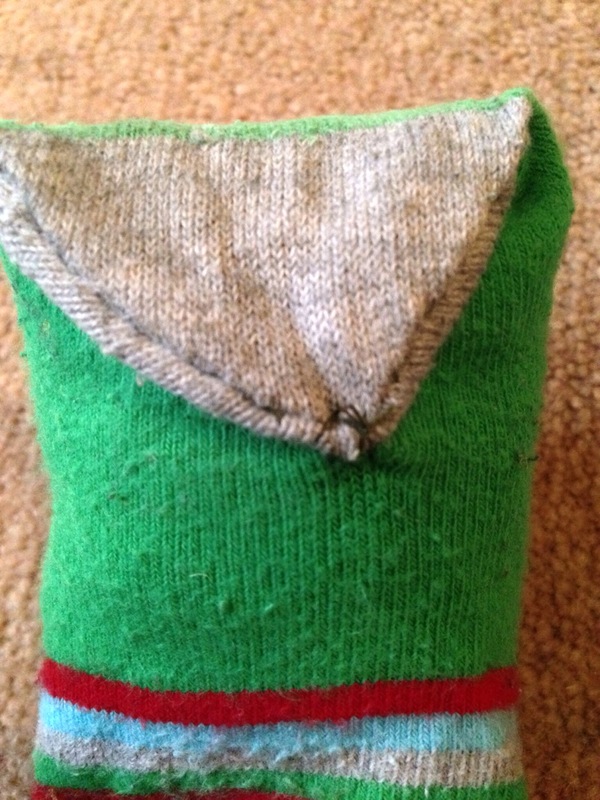 Then pull down the point of the sock (the beak) and stitch it as far down as you want your owls beak to be. 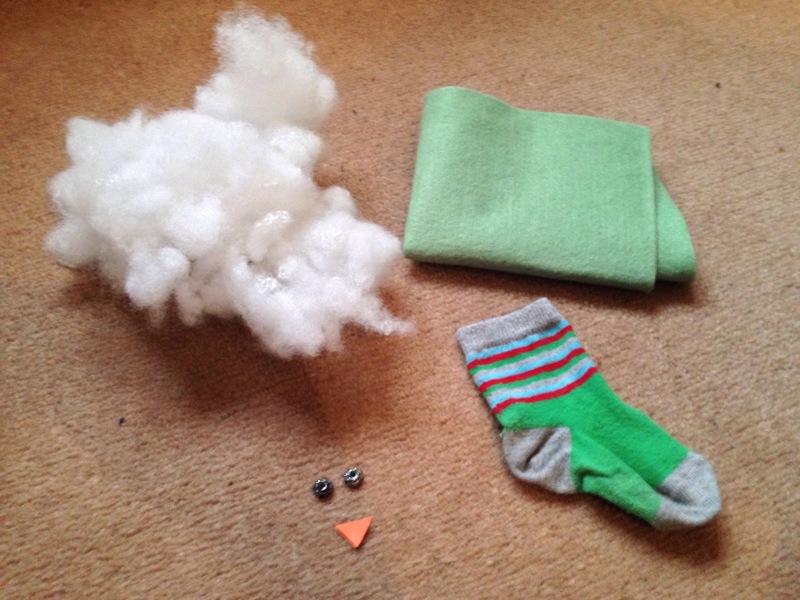 Sew on your eyes and beak (or stick if you’re using paper). I used 2 beads that came from a keyring charm I no longer wanted, and for the beak some orange material that my mum had spare. 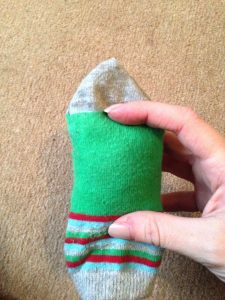 Fold the entrance of the sock up as much as you want to make the desired size and give the owl a belly. Stick the felt feet to the base of the owl using PVA. 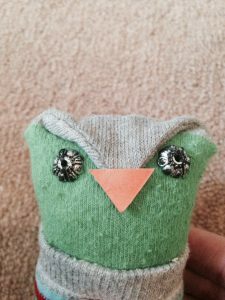 If you want to be more secure you could stitch the base of the owl up first but my wadding was pretty tight up there so I didn’t need to. 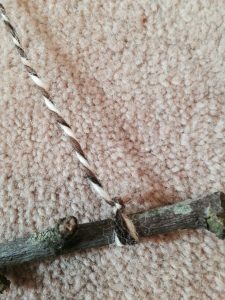 Tie the string/rope/wool (whatever you chose) to both ends of the branch tightly, allowing enough room for it to hang with the owl not being too squished on it! As this one was going on the wall we decided to use sticky back tape to stick the owls not only to the branch but to the wall too. Once the branch was hung on a hook, I positioned the owls to make them look perfectly perched! There are some great variations you could do using different colours, materials and techniques, I’d love to see your versions and get some more inspiration!